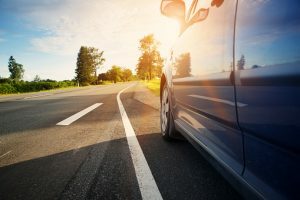 Legal Blog for Zbinden and Curtis Law» Blog Archive » Can Road Deaths be Eliminated on Oregon Roads? Can Road Deaths be Eliminated on Oregon Roads? Today it is an ambitious plan: Road to Zero. Managed by the National Safety Council (NSC) and backed by a coalition of more than 40 organizations, including Mothers Against Drunk Driving (MADD) and the American Automobile Association (AAA), Road to Zero plans to end roadway deaths by 2050. It is the first time so many groups have collaborated to address motor vehicle fatalities, which have been on the rise across the country since 2011. Is zero road deaths possible? In a report by the RAND Corporation, a nonprofit, nonpartisan research institution established in 1947, Road to Zero identifies three initiatives as a start. Concentrate on what works, through proven, evidence-based strategies. Promote the latest in life-saving technology in vehicles and infrastructure. Prioritize safety by adopting a safe systems approach and creating a positive safety culture. The report, A Road to Zero: A Vision for Achieving Zero Roadway Deaths by 2050, was released earlier this year in the midst of national discussions about motor vehicle safety issues including automated vehicles, infrastructure investments, distracted driving, and alcohol- and drug-impaired driving. In the short term, the coalition stresses enforcing and strengthening current traffic safety laws, especially when it comes to speeding and texting, as well as providing new resources for traffic safety researchers and supporting those who design and build roads and vehicles. While the coalition notes that widespread use of fully automated vehicles remains decades away, accelerating the benefits of new technologies by creating partnerships between public safety and health groups and industry professionals is a current target. “The safe systems approach has saved lives in other countries,” said Lisa Ecola, a senior policy analyst for RAND. Sweden’s plan is called “Vision Zero.’’ “We simply do not accept any deaths or injuries on our roads,’’ said Hanks Berg of Sweden’s national transport agency. Planning has played the biggest part in reducing accidents, according to The Economist. Roads in Sweden are built to prioritize safety over speed or convenience. There are low urban speeds, pedestrian zones and barriers that separate cars from bicycles and oncoming vehicles. The next step, according to Swedish officials, is to try to reduce human error even further, like adding warning alerts for speeding or unbuckled seatbelts in cars. The future begins now. If someone else’s negligence caused your traffic accident, contact Zbinden & Curtis Attorneys at Law. Your personal injury consultation is free and confidential. This entry was posted on Wednesday, June 13th, 2018 at 8:35 pm and is filed under Car Accidents. You can follow any responses to this entry through the RSS 2.0 feed. You can leave a response, or trackback from your own site.